Just Set It & Forget It!! 1390	People Claimed This Deal! 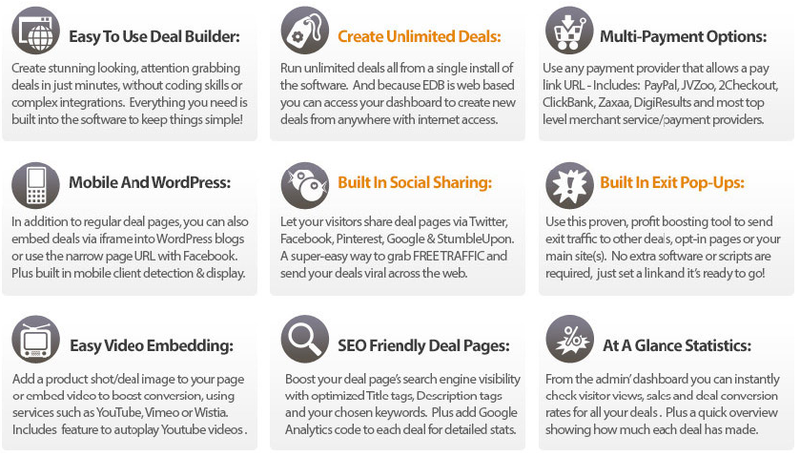 Create set and forget deals and maximize your conversions on every product you sell. 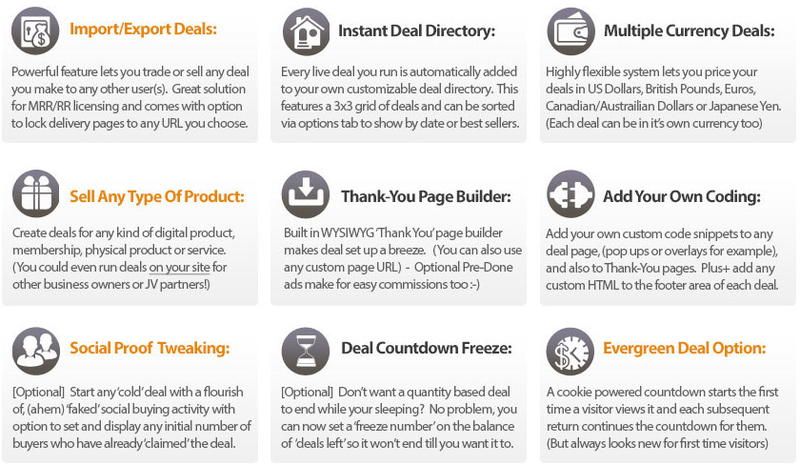 Works perfectly for one time offers, welcome/sign up deals for new subscribers, visitors or customers. Simply choose an 'Evergreen' type deal, select how many days, hours & minutes you want each first time visitor to have before it expires - The software will then automatically track the visitor and it will always display the time left you set originally for them! New visitors always see the time left you set originally so it always looks fresh to them!